WHEN it comes to grocery shopping, Australian consumers are some of the biggest spenders in the world. Our tendency to splash the cash, according to research, is largely because we pay some of the most expensive prices in the world for food, and even trump cities like New York, London and Singapore at the checkout. But another big factor is the amount we are buying, with many households bringing home far more than they actually need week to week. The amount of money we spend away from the home and on food has doubled since the '80s. According to Foodwise, each year Australians send 4 million tonnes of food to landfill. That's $8 billion worth of fresh food, leftovers, packaged and long-life products, drinks, frozen food and takeaways straight to the bin. And this amount waste is having a significant impact on our hip pocket. According to the 2015-16 Household Expenditure Survey, the largest weekly expense for average Australian families was housing - such as rents and mortgages - followed by food and then transport (which takes up around 16.5 per cent of the weekly spend). 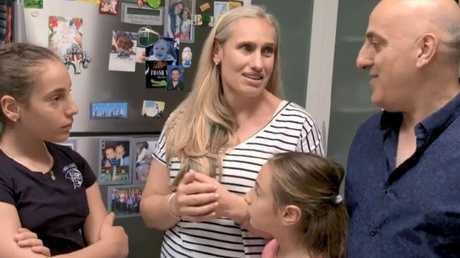 But a new two-part series on Channel 9 hopes to offer practical ways to help Australians eat better while also saving thousands annually in the process - more than $15,000 a year for some families. On the show, Eat Well For Less , celebrity chef Ben O'Donoghue and journalist Leila McKinnon assess families' shopping habits, and provide practical changes to save big dollars. Focusing on two average families each episode, the aim of the experiment is to make easy food swaps and learn cooking hacks on the side to save money. Michael and Sabrina Maiorano, who appear in the first of the two-part series - know they are in trouble when it comes to the weekly grocery bill. With two young daughters, the husband and wife duo often walk away from their local supermarket with a $650 shopping bill. Michael, who has quit a full-time job to start his own business, and Sabrina, a part-time flight attendant are adjusting to life on one income. Crunching the numbers, the pair will spend around $37,000 on food alone each year to feed their family of four - which is more than double the national yearly average of $13,900 per household. 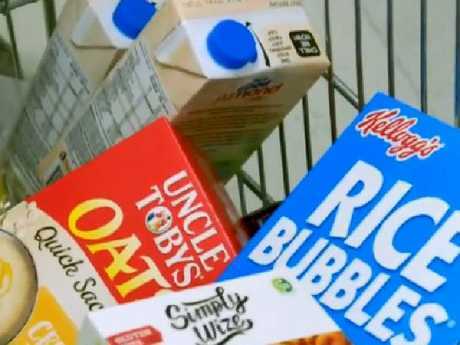 Loading up on convenient foods and expensive brands, the family rarely purchases homebrand products and often overbuys during the weekly shop. Hosts O'Donoghue and McKinnon said their downfall was buying big brands, opting for convenience food like pre-seasoned meats, and buying too much each week. "With 58 per cent of Aussie shoppers agreeing that home brands are just as good as the big brands, the Maioranos are missing out on huge savings as home brands can reduce your food bill by a whopping 40 per cent," McKinnon said. Assessing their pantry, McKinnon and O'Donoghue swapped products without the Maioranos knowing - and even taught them a few tricks on how to prepare food in a way that was restaurant quality. 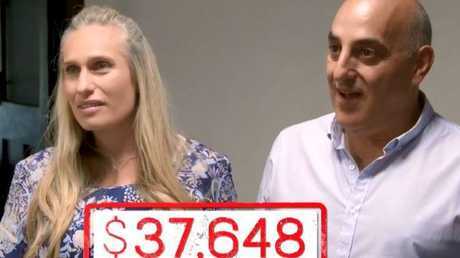 The 36 swaps - including switching pre-packaged chicken tenders for a DIY version, and a yoghurt flip for a version that could be made at home - saved the couple more than $17,000 in a year. The family was buying 2 x 400g of pre-crumbed chicken tenders each week, which costs around $20. Crunching the numbers, they were paying someone $8.60 just to crumb the chicken. But by buying the same amount of plain breast chicken for $11.20 and making their own crumb from scratch using bread, rosemary and others herbs, it saves $670 a year. The Maioranos were buying pre-packaged cheese and biscuits snacks for their daughters each week. 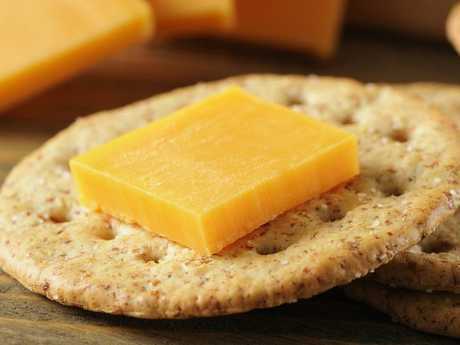 But by buying sliced cheese and a packet of biscuits, and creating their own snack packs, they can save $290 a year. 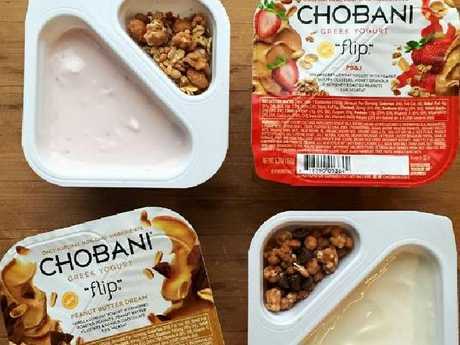 The family was buying around $1248 worth of Chobani flip yoghurts each year for their two daughters as an after-school snack. Not only do they contain around four teaspoons of sugar per serve, they are costing around $3 per item. Buy by buying a larger tub, and a few additives like frozen blueberries and muesli - the family could save themselves $780 each year - and cut the sugar intake by half. The Maioranos were big mince eaters, and while they admit they will not be changing their brand of choice by buying a generic brand, such as the organic label from Aldi compared to the same version from Woolworths, they could save around $365 a year. 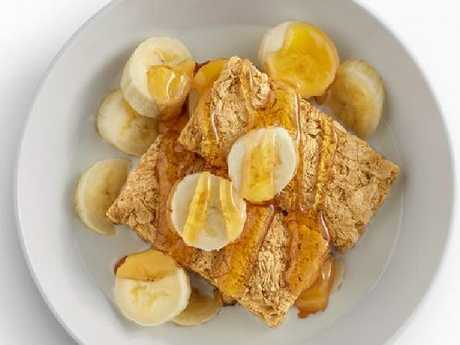 Australians eat over 180 million kilos of cereal each year, with one of our favourite varieties being Weet-Bix. 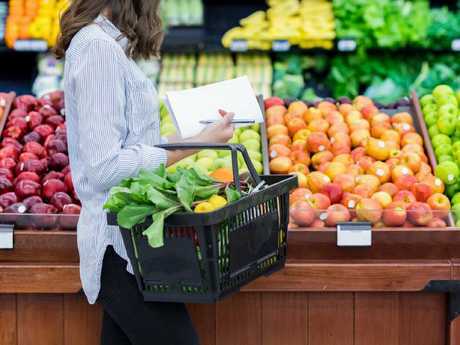 But by swapping to a generic brand, such as the Goldenvale Wheat Biscuits from Aldi or the Woolworths Home Brand Wheat Biscuits, the average family could save 60 cents per packet. The savings can even apply to beer. With some craft varieties, like Mountain Goat, costing around $20 for a sixpack, swapping to a cheaper alternative - such as Storm Brewing Co. from Aldi for $8.99 - it could save an average consumer $1500 a year. Another saving comes from the deli section at your local supermarket. By simply ordering your bacon from the butcher section instead of buying pre-packaged, you're looking at an average saving of $60 a year. On average, for a family consuming meat or poultry ever night a week, opting for vegetarian just one day could save around $650 a year. 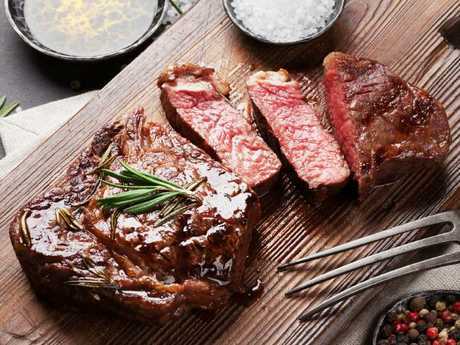 Not only can it be good for your hip pocket, but going vegetarian just once or twice a week and leaving steak off the barbecue can do wonders for your health, a leading dietitian says. 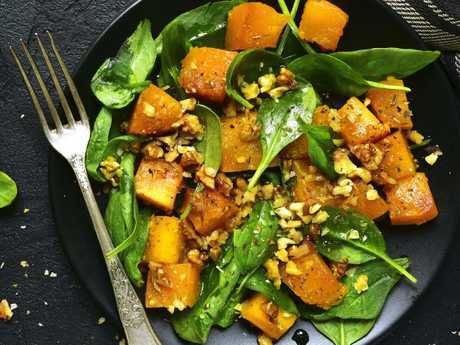 Nicole Dynan, an accredited dietitian and spokeswoman for the Dietitians Association of Australia, told the ABC that plant-based diets were some of the healthiest in the world. "People who eat more plant-based food, like vegetables and fruit, tend to have lower BMIs [body mass index], and reduced risk of developing things like type 2 diabetes and high cholesterol," Ms Dynan said. "The thing about vegetables and fruit and plant matter is they give you a lot of micronutrients, or the small nutrients, in your diet - things like vitamins and minerals, and fibre, which is really beneficial for your gut bacteria and helps your body function better." If you're unlikely to cut out meat, try opting for a cheaper cut of meat. They might need a longer cooking time but they are often even tastier than expensive joints, especially if marinated or seasoned. Swapping a kilo of scotch fillet grass-fed steak at $40 per kilo for a secondary cut of the same amount (like flat iron/oyster blade steak) will save a family $8.24 a week - adding up to $856 a year. O'Donoghue said the simple tricks they'd shared with the Maioranos had even made an impact on his own family, by saving himself $80 a week (or $4000 a year) by making a few simple food swaps. He said one of the keys was to shop at more than one supermarket. "Our grocery spend will be over $300 and it's down to $220 to $250 now," he said. "What stands out is unnecessary purchases that we make." 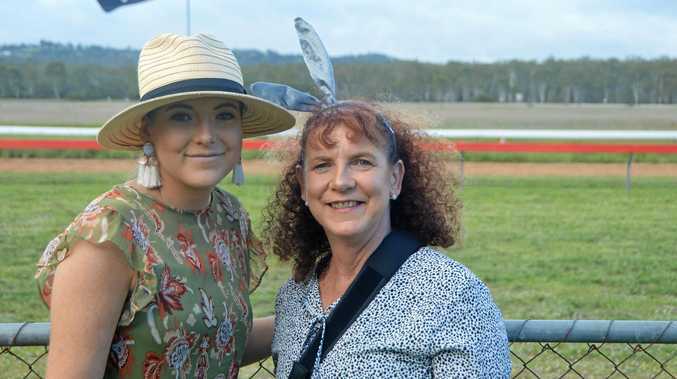 Episode one of Channel 9's Eat Well for Less will air on Tuesday at 7.30pm.